Welcome to Liberty on Leashes in Aurora Colorado USA web site! Liberty on Leashes is a non-profit puppy raising club affiliated with Guide Dogs for the Blind. 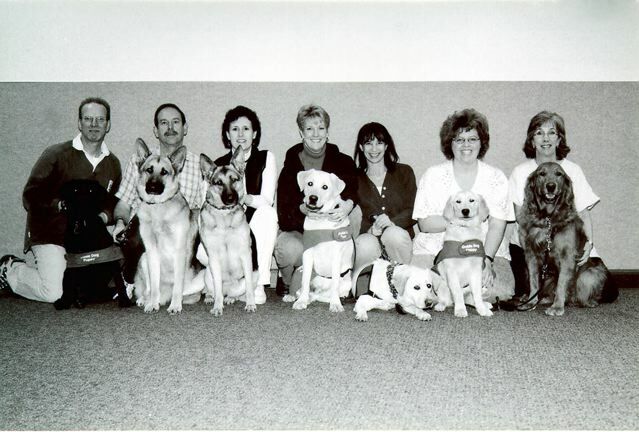 Liberty on Leashes is one of many puppy raising clubs in the Western United States whose mission is to provide basic obedience training and well socialized dogs for qualified individuals in order to enhance mobility. Liberty on Leashes is one of several guide dog puppy raising clubs based in the Denver-Metro area. The club usually meets on the 1st and 3rd Thursdays of each month from 6:00 to 7:00 pm.